This ring is a beautiful piece to add to anyone's jewelry collection! 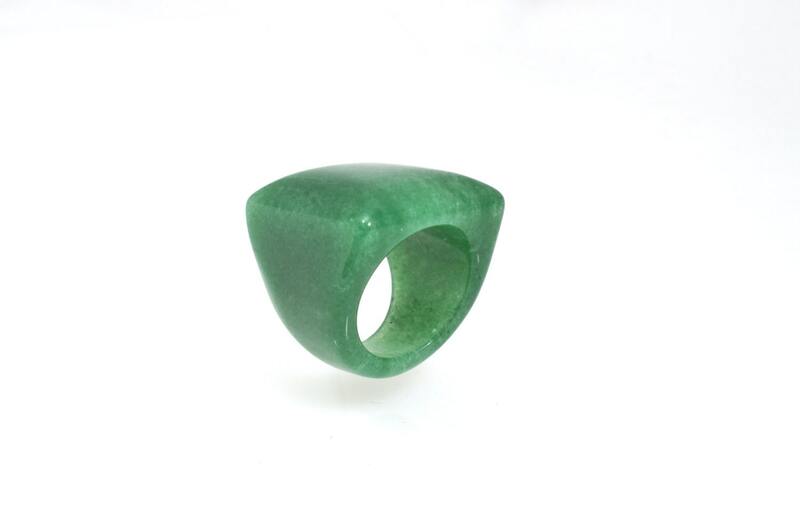 It is made from a beautiful piece of Aventurine Quartz . Its finger sizes is 6 1/2 US or N UK finger size and cannot be resized due to the nature of the material. At the top this ring is 24mm by 27mm or 0.94in by 1.06in. Before you decide on one of these rings you should know that they are not as strong as a metal rings and can chip and crack or even brake. Which is not a problem as long as you are aware that they are not as hard as metal and treat the ring accordingly . 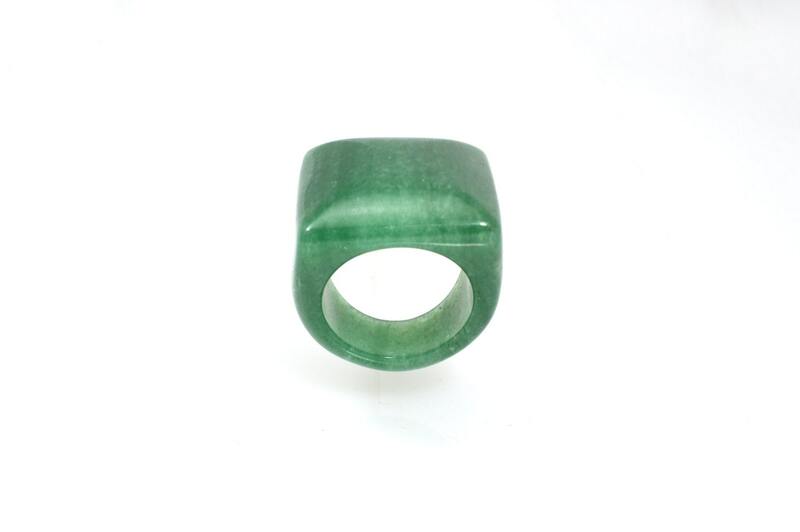 Aventurine is a variety of Quartz characterized by bright inclusions of Mica or other minerals that give a shimmering or glistening effect to the stone, referred to as aventurescence, especially notable when tumbled or polished. Its name is derived from the Italian a ventura or all’avventura, meaning “by chance,”.